One of the first combined purées I made for my daughter was steamed root vegetables blended until smooth. 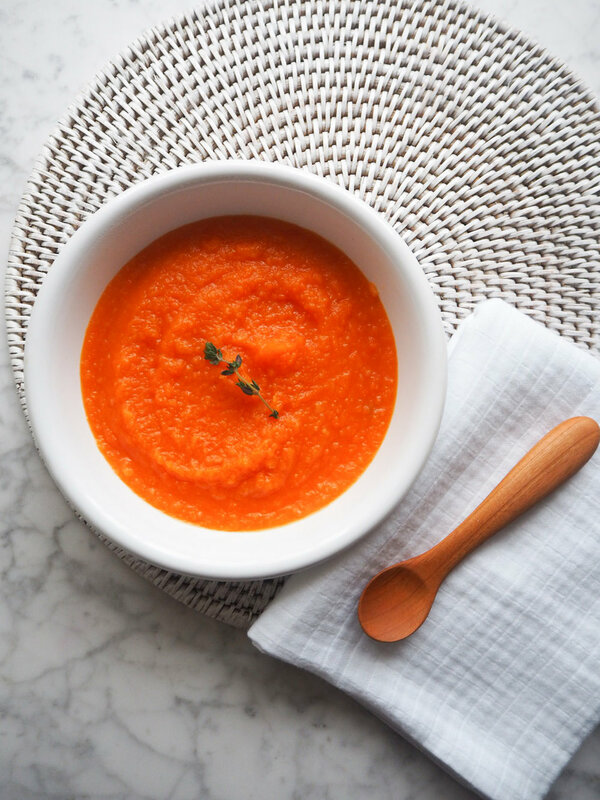 Once she had tried sweet potato, parsnip, butternut squash & carrot, I would blend them all together for a mixed root vegetable puree. You can also add a measure of homemade vegetable stock, or chicken stock, for extra nutrition (boiling water is fine too if you don't have any homemade, or no salt added stock).